The Ministry of Justice consultation on soft tissue injury claims closes today. The consultation was open for a mere seven weeks and spanned the Christmas period, giving interested parties little time to digest and respond to its implications. Labour opposes these proposals which represent a further denial of justice to ordinary people following legal aid cuts. Civil claims up to £10,000 (or up to £1,000 in personal injury cases) are allocated to the small claims track. In small claims cases, legal fees cannot be claimed. Many litigants have no choice but to fight their case without any legal representation. One of the main proposals (if not the main headline) of the consultation is to increase the small claims limit for all personal injury cases to £5,000. In reality, this isn’t restricted to road accidents, it will affect any injury wherever it occurs including at work. It means those who have suffered conditions that include, say, psychiatric injuries or moderate to severe fractures, will be forced to bring their case entirely without legal advice as the changes will take away their right to any funding. Many potential claimants may be put off making a claim, because of the difficulties involved. Many ordinary people, who have suffered potentially serious injuries with long term consequences including at work are going to be priced out of accessing justice. However, there are some who will significantly benefit from an increase in the small claims limit in personal injury cases: insurance companies. After all, it will have a direct impact on their bottom line. If these reforms do go ahead, even the government admit that insurance companies will gain an additional £200m per year and that’s a minimum – on top of already vastly over-inflated salaries. In 2015, the then chief executives of four insurance companies received packages ranging from £4.82m to £37.82m. And the benefits for the premium holders? Well, “some” drivers “could” save “about” £40 on their insurance premiums. But the government is on record saying that they will not force insurers to pass on the massive savings they are going to make and realistically premiums are likely to continue to rise. When published profits show big players like Direct Line and Admiral have paid out over £2.8bn in dividends between them in the last four years and their profits have risen for every one of those years. When ABI figures show that claims costs have fallen for five straight years in a row and their costs in motor insurance are now 30 per cent lower than they were in 2010, giving insurers a £2.5bn windfall. When you factor in that the number of insurance claims for personal injury following an accident has fallen nearly six per cent in the last three years according to the government’s Compensation Recovery Unit, you have to ask why premiums keep rising. Motor insurance is not an optional extra, it is required by law. Questions must be asked about what is a reasonable profit in a market that we – the British public – have no choice but to buy into. Insurers have tried to claim that fraudulent cases are the reason for rises in premiums. Fraudulent claims are unacceptable and resources ought to be ploughed into education of what it means – perhaps a simple leaflet with every renewal? The risks, both personal and for others, who are picking up the bill should be made clear to all. We need to expose those who cheat the system and we should be prosecuting them at every opportunity, so that defending any claim considered fraudulent, and prosecuting anyone who is identified, becomes the default position. Some senior figures in the insurance industry claim there is a “pandemic” of claims and a “crisis” in fraud. But there is little evidence to sustain such claims and none at all in work accident claims which these changes will sweep up in their wake. Mark Wilson, Aviva’s chief executive, said in The Times in December 2015 that Britain is facing a “fraud pandemic” – a sentiment which has never been backed up by any independent figures. It’s significant, we think, that none of the insurers have reported fraud as an issue in their annual returns despite a requirement from their regulator that they do so if they think something is going to hit their profits. Similarly, whiplash has become a whipping boy for the insurers and again they have been more than a bit disingenuous. Countless media outlets seem to buy without question the idea that whiplash claims are “soaring” and that we live in the “whiplash capital of the world”. However, that doesn’t fit with the figures obtained in a Freedom of Information request by the Association of Personal Injury Lawyers (APIL). Those figures suggests that the number are falling or are at least static. We know from other FOI requests that the police forces in the UK have few if any motor insurance fraud cases on their books or reported to them, and certainly nothing on the scale suggested by insurers. Undoubtedly whiplash, being a soft tissue injury, is ripe for false claims. But the figures aren’t as have been claimed and again the answer, if insurers suspect a claim, is to deny it, defend it and hand all the evidence across to the police. In fact last year they paid out in 99 per cent of all cases, so much for their facing a fraud crisis and tackling it. Whilst insurers have promised to pass on savings, in the absence of a compulsion on them and independent monitoring, it is unlikely that they will. Given their profits, their dividends, the remuneration packages of their chief executives and the reduced claims costs they have seen, and not passed on, whilst premiums have continued to rise, there is very good reason to be doubtful. If, across the industry, they guarantee all savings will be passed across to consumers in reduced premiums and they open up their books to show that it has been done, that would reassure many. The Tory government claims to be creating a country that works for everyone. In reality, these one sided proposals are just feeding fat cats more cream and we are paying twice – once as taxpayers and then as motorists. Until the insurance industry is entirely open with the consumers they sell their product to, the Labour Party will oppose any increase in the small claims limit. 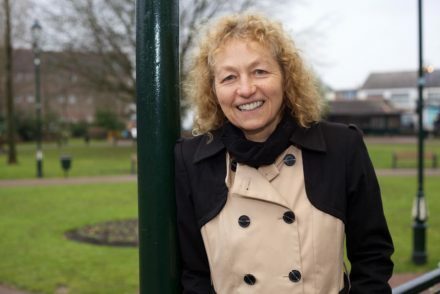 Christina Rees is Labour and Cooperative MP for Neath and shadow minister for justice (courts and legal aid).